My lunch games cabinet at work. I’ve mentioned before that I have the most opportunity to play games over my lunch hour at work. Part of this has come about from years of hard work cultivating an audience, but much of it is because I work in a great place with great coworkers who like spending time together. I wrote a top ten list several years ago of the best lunch games. However, I thought this list could use some updating–and some expansion. The reason for expanding the list is that different groups want different things out of the games they play at lunch. This is the second of my revised lunch games lists. The first list focused on good lunchtime social games, games that facilitate good interaction among the players. This list focuses on games that put Interesting Decisions front and center. Playtime: Obviously, this one is nonnegotiable. The game must not run over the time allotted to eat lunch (for me, one hour, although several games on this list are shorter than that and can be played multiple times in an hour). Interesting Decisions: There must be decisions that offer good trade-offs. These decisions should matter to the outcome of the game. Players should feel clever. Good decision-to-playtime ratio: Players should be making lots of these interesting decisions in the short playtime of the game. Splendor appeals to just about everyone. 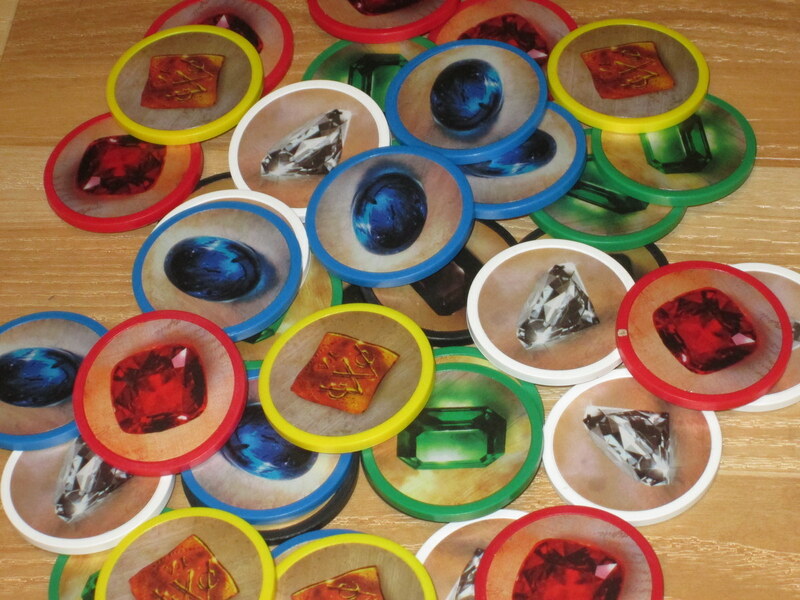 Whether it’s the heavy-duty chips, the simple rules, or the sleek gameplay, it gains fans as often as it’s taught. It also makes for a great lunch game. It scales well from two to four players, turns are quick (so everyone is engaged), and being a race, it is tense the whole way through. The game is short enough that, if you play fast, you can get in three games in a lunch hour, or a more comfortable two. Mogul is part stocks game, part social experiment. Each round sees players either putting a chip in the bowl to stay in the auction or passing and taking all the chips in the bowl. The social experiment comes in the gratifying clack that each chip makes. And even when you’re considering what decision to make, the allure of a sea of chips in the bowl–potential options on later turns–is hard to resist. Mogul is a little long for what it is, but that doesn’t stop it from being a fascinating game with grueling trade-offs. I probably wouldn’t play this with three players, but with four or five, this is a fantastic game that is unlike just about everything else and worthy of a space in your office games cabinet. 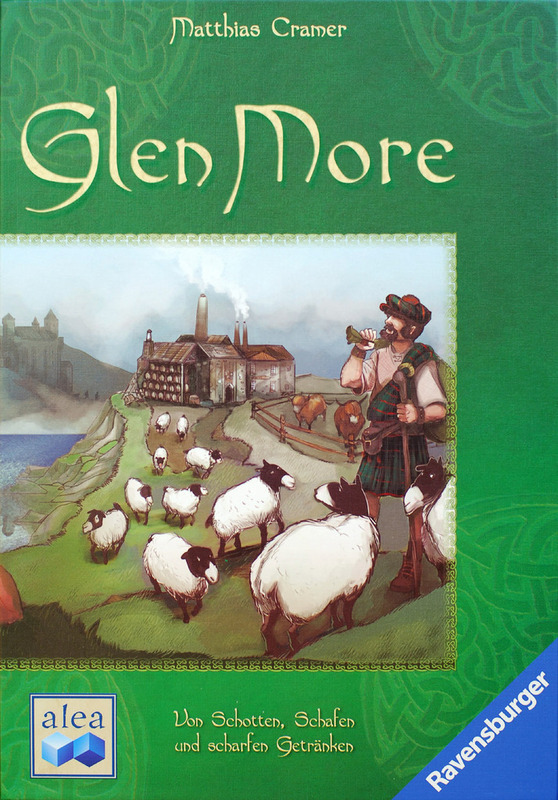 I’ll admit it: the first few times I played Glen More, I didn’t love it. But looking back, I’m pretty sure my criticisms were mostly shallow. And, truth be told, this game doesn’t look great. But don’t let that scare you off. 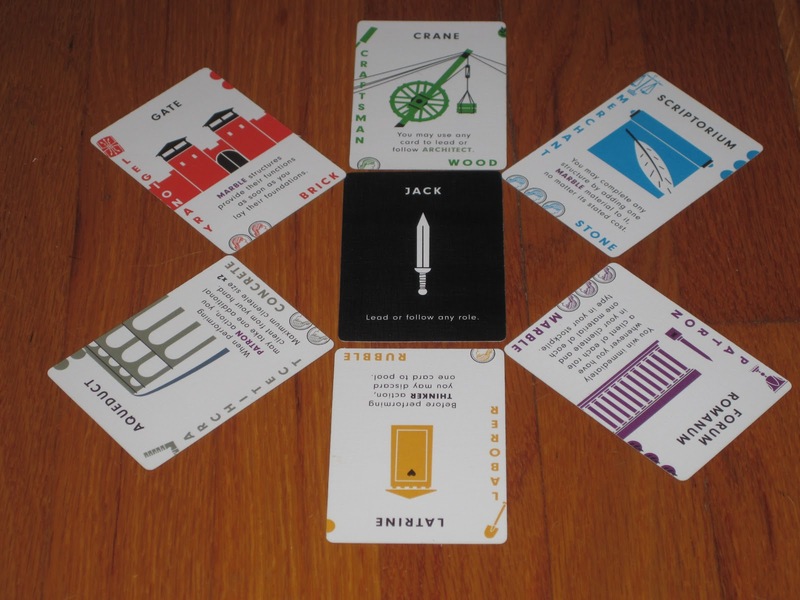 The game contained within is a tense and satisfying mental exercise that, with minimal practice, fits comfortably within a lunch hour. Glen More, as you can guess from its boring packaging, is a purely mechanical exercise. But it is an interesting purely mechanical exercise. 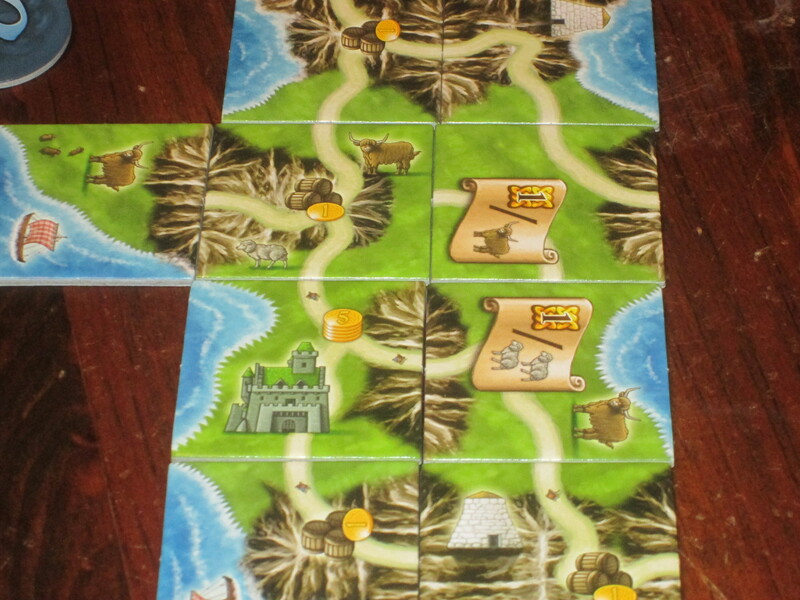 Players draft tiles along a variation on the time track, and each tile placed activates all the tiles adjacent to it. Glen More is an engine-building game with a strong spatial aspect, and this is what makes it both novel and fascinating. It’s out of print currently, although it was easy enough to import from Germany. This is fun at any player count. 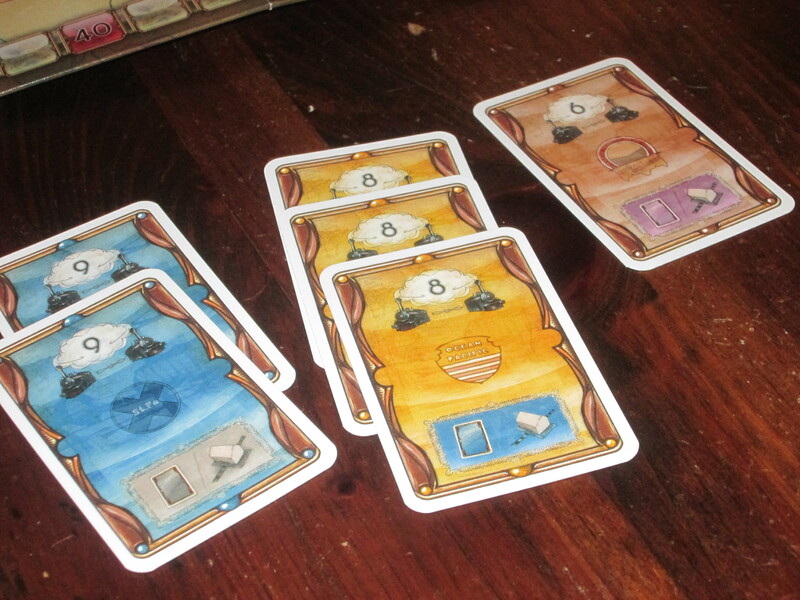 7 Wonders is a one-size-fits-all kind of game. As long as you have at least three players, and up to seven, you can guarantee a good time with it. It’s a drafting game, which naturally makes each decision count. 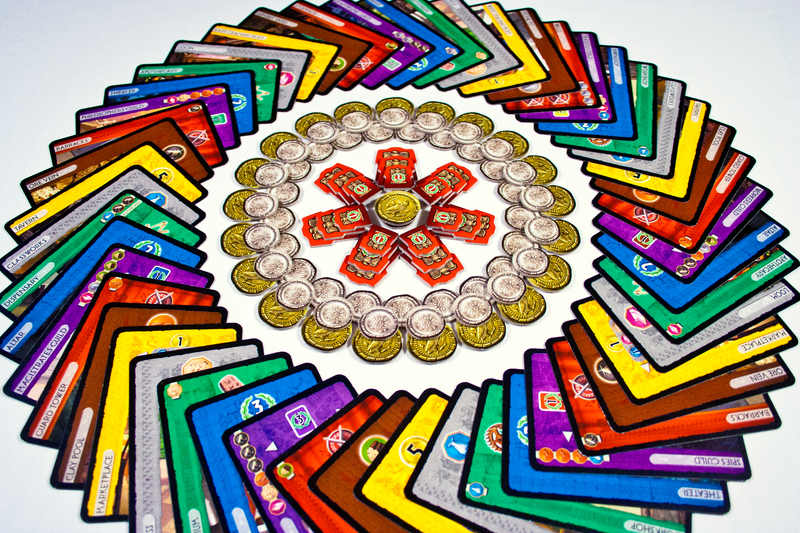 Beyond this, there’s an extra layer of resource management and good trade-offs as each card can be played in three ways, depending on the mood of the player. I didn’t love 7 Wonders at first, but now it’s one of my favorite games, and while it’s not a lunchtime choice as frequently as it was (one player at work often blackballs this), it’s a game I’m always willing and often itching to play, with or without expansions. With experience, we’ve gotten this down to 30 minutes of actual play, although setup and tear-down allows this one to comfortably fill a lunch hour with good decisions and still have time for chitchat. Dominion has fallen out of favor lately, it seems, both at work and in the general population, but to me, there is no better strategic filler. It’s easy to fit two games into a lunch hour, and if you’re experienced, three is usually not a problem (especially if you’re playing with just two or three players and familiar cards). 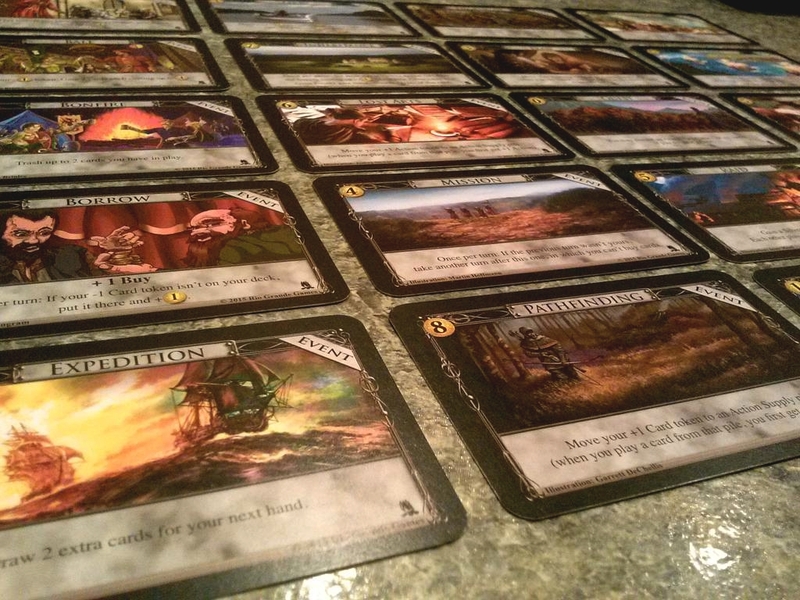 With the variety that expansions provide, it’s quite possible that the world has never seen the game you’re playing before (especially if you invest in option-rich expansions like Adventures or Empires), so each game is a new puzzle to solve. No, the game does not have the aggression or conflict of some other games, but that’s okay. In Dominion you receive instant feedback for each decision you make, and the more you play, the better you become at evaluating new boards and responding to the feedback your deck provides. For this reason, getting new players initiated can be a challenge, but if you’re looking for a high-mileage game to get into with coworkers, Dominion is for you. It’s easy to tailor the experience through judicious expansions, and it is, to me, one game that never gets old. Isle of Skye is a newer game to enter my lunch games rotation, but it’s one of my favorites. It combines price setting, tile laying, and variable scoring conditions into a tight and fresh package that’s simple to teach and exciting to play. Players have to gauge how much a tile is worth to themselves and save enough money to purchase tiles from other players while managing the timing of scoring points in the right rounds. 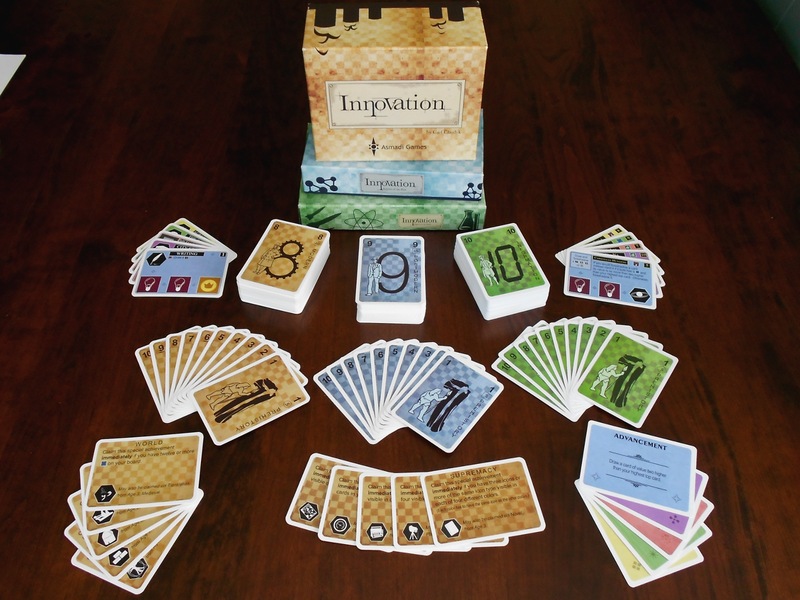 Similar to Dominion, the variable scoring conditions give each game a different flavor. But unlike Dominion, there’s less of a skill gap between new and experienced players. This has been a hit with family and at work, but it stays in my games cabinet at work just in case an opportunity to play it arises. And thankfully, opportunities often arise. Andrew’s review is pretty exhaustive, but here’s my take on Roll for the Galaxy. Roll for the Galaxy is a dice game with real choices. Yes, each round players roll dice, but each die type has a known phase distribution, and there are lots of opportunities to mitigate luck. 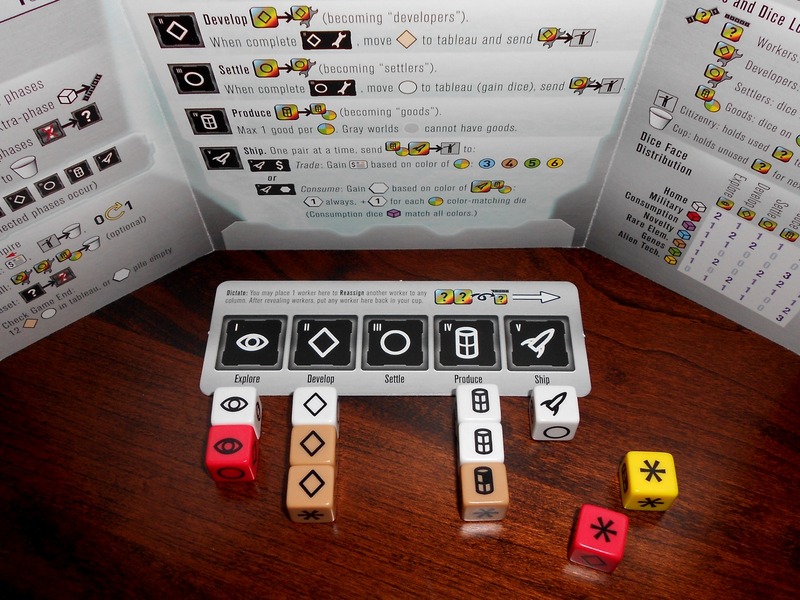 Roll for the Galaxy is difficult to learn and has a unique flow, but it plays smoothly once players know what’s going on. And the decision-to-time ratio with this one is excellent. Each tile drawn is either a world or a technology. 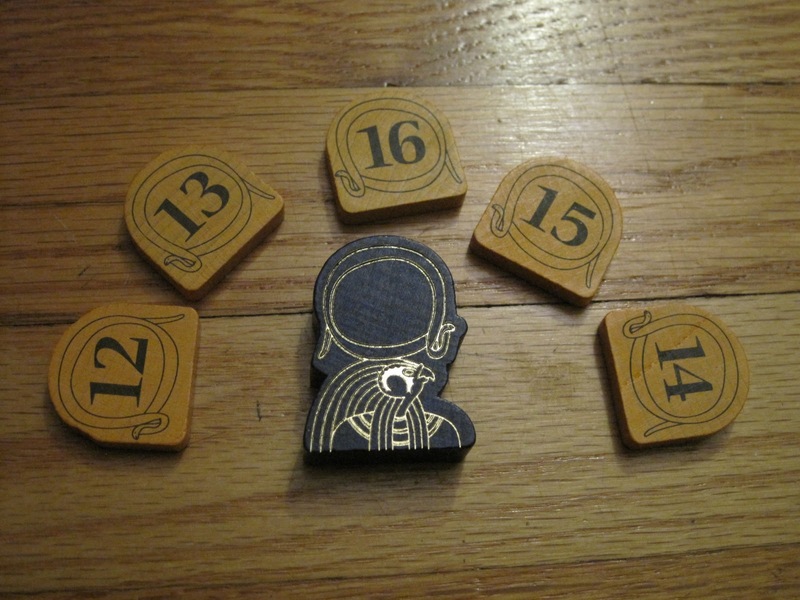 Each die could be one of six things. Players have to choose what’s best for them but also draft off of what the other players are doing. Roll for the Galaxy is endlessly fascinating, and especially with the Ambition expansion (which includes loads new start worlds and factions), there is a whole lot to explore. I’ve played this one almost exclusively at lunchtime (even teaching games usually fit within a lunch hour), and it’s one I always rejoice at when it’s suggested. Glory to Rome is the quintessential lunchtime game. But let me preface my remarks about it with a few caveats: 1) it is quite hard to teach and has a steep learning curve; 2) it is hopelessly out of print; 3) seriously, it’s hopelessly out of print (although Asmadi Games publishes Mottainai by the same designer, a “spiritual successor” to Glory to Rome that many players–myself excepted–enjoy). Glory to Rome captures so much game in a time frame that usually is reserved for fillers. Depending on the strategies employed, you could fit two games in, or once I even fit three. Glory to Rome has so many different avenues to victory, and no matter whose turn it is, you’re always invested. Are they doing something you want to do? Follow them! Are you out of cards or don’t want to play along? Think and draw cards! Aside from being the best cards-with-multiple-uses game, there is a lot of heart here, and the theme is well chosen, if not immersive. Players make demands of one another, get to say “Glory to Rome!” frequently, and marvel at each other’s amazing combos while feeling clever at their own. While it’s probably not $200 good (prices the game is currently listed at on the secondary market)–and what game is?–it was definitely worth the $40 I paid once upon a time. And if Vasel’s Law carries any weight, it will be worth whatever price the inevitable reprint fetches.